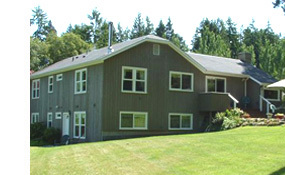 The Halvorsen House Bed & Breakfast welcomes you to our beautiful San Juan Island Bed and Breakfast offering San Juan Island accommodations in a peacful country setting, just two miles from the town of Friday Harbor	, Washington . This newly constructed country style Bed & Breakfast welcomes you to enjoy the peace and quiet of country living. Our six acres provides a chance to see a wide variety of San Juan Island wildlife such as deer, fox and many species of birds. Our location is convenient to all that the San Juan Islands are known for: whale watching, sea kayaking, golfing, birding, biking, hiking, unique shops, art galleries, museums and more. 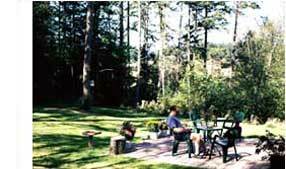 The Halvorsen House Bed and Breakfast is the perfect place for your San Juan Island romantic getaway, family reunion or honeymoon. 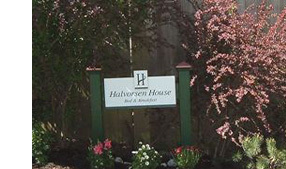 The Halvorsen House Friday Harbor Bed and Breakfast offers many special amenities for San Juan Island lodging. Each of our 4 beautifully decorated guest rooms has it's own private bath, one with a Jacuzzi tub. Two rooms have private entrances, kitchen units, TV/VCR and phones. The lovely decorated common area invites you to relax in a cozy setting complete with games, game table, reading material, soft music, television, fireplace and a large selection of movies. We are known for our gourmet breakfast served each morning either with our other guests or in a separate cozy romantic setting overlooking the wildlife in our backyard. Breakfast starts with a carousel of toppings for our special oatmeal and a variety of fruits, scones, muffins, or sweet breads. Our main courses vary from blueberry pancakes to stuffed French toast or quiche and frittata accompanied with potatoes, bacon, sausage or ham, all served with juice, hot cocoa, coffee or gourmet teas. 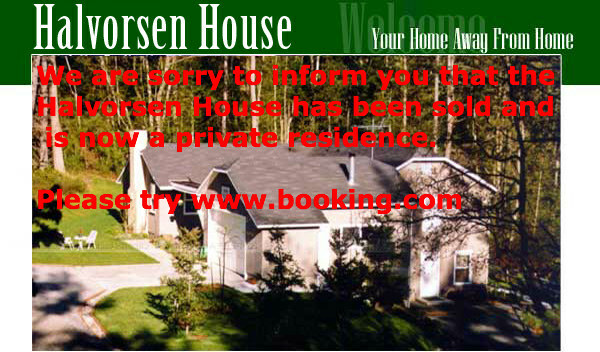 We hope your choice for accommodations in Friday Harbor, WA on the San Juan Island will be the Halvorsen House Bed & Breakfast. Our goal is to make your vacation with us one of your fondest memories. Get loans online in 5 minutes from GshLoans Inc. in business since 2002.